It’s early, it’s Saturday morning, and you’re just sitting down with your cup of coffee expecting a lazy day. BUZZ … WRONG! Why is that you ask? Well, it’s Saturday, November 5th, 2011 and that means it’s Chomp and Stomp day. Between the hours of 11am and 6pm, droves of chili fanatics will be flocking to the corner of Tye Street & Kirkwood Ave in Cabbagetown. Party time will be in order. 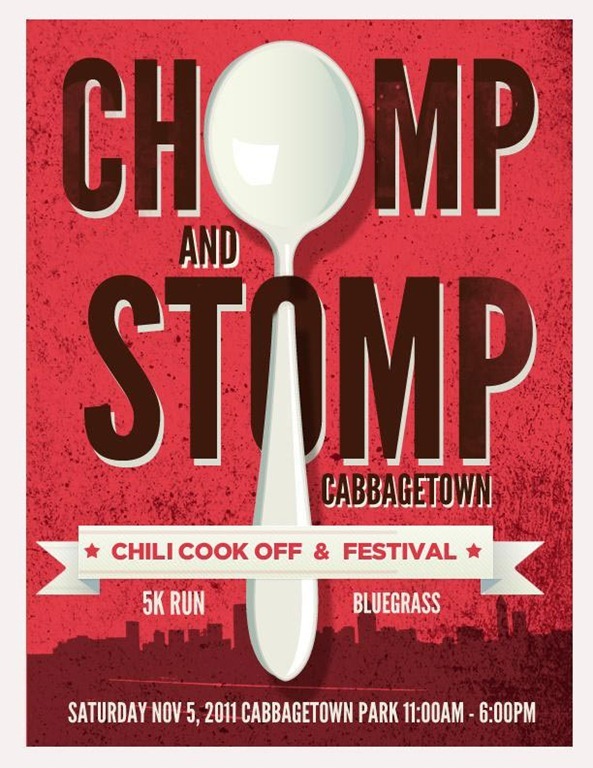 The main draw at Chomp and Stomp is of course the chili cook off. It features a TON of Atlanta restaurants as well as a SUPER TON of homegrown chili enthusiasts. But even if you don’t like chili (aka you aren’t human), there’s live music, BEER, street food vendors, and even a kids zone! If you’ve never been before, heed this advice: get there early. The chili will be gone by the time you can bat an eye. Still, there’s a lot going on so get down regardless. To sample chili, all you need is $5. Beyond that, it’s a free event so you only have to pay for what you want to. If that’s not enough to get you down there … perhaps you’ll want to rub elbows with the handful of chef judges that will be on hand. The list includes: Shane Devereaux of Top Flr, Hector Santiago of Pura Vida, Julia LeRoy, Jay Swift of 4th and Swift, Scott Serpas of Serpas True Food, Kevin Rathbun of his empire, Joe Schafer of Parrish, Steven Satterfield of Miller Union, and Zeb Stevenson of Livingston. That’s a list! Tickets: Free entry. $5 for a chili tasting spoon. Vendor sold goods dependent on vendor.